Human Rights and Peace Day is a public holiday in Kiribati, that is celebrated in honor of Human Rights Day on December 10. Since the government of Kiribati follows the policy of long weekends, that date of the holiday is annually moved. The United Nations General Assembly adopted the Universal Declaration of Human Rights on December 10, 1948 to prevent repetition of World War II and creation of numerous concentration camps. In 1950 Human Rights Day was declared by the UN General Assembly. This day is observed by all country-members of the UN. The government of Kiribati decided to celebrate this day and create the national observance praising human rights and peace in the world. This observance became a public holiday. 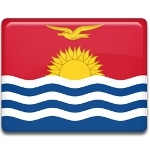 During the last years Kiribati tends to change the date of celebration of many public holidays, moving them to Fridays or Mondays to provide people with longer weekends. This means that Human Rights and Peace Day may be celebrated on Friday or Monday closest to December 10.